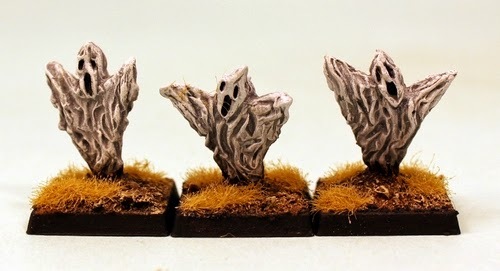 15mm.co.uk: HOT95 Ghosts now Released! Wooo! 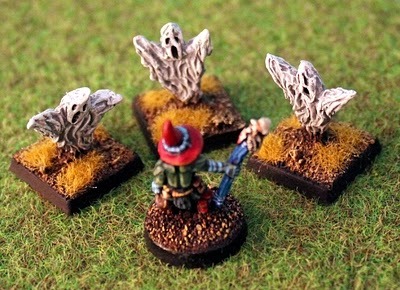 Scary new 15mm miniature in the HOT Fantasy range. A pack created on the back of customer requests we present HOT95 Ghosts. Rising from the ground in a mist like form these tortured souls return from the otherside of the veil to do your bidding if you can master them. They also make excellent Fire Elementals with a different paint job on them. Designed by Elton Waters. This code contains 10 white metal 15mm scale miniatures in a random mix of three different poses. Approx 15mm tall. 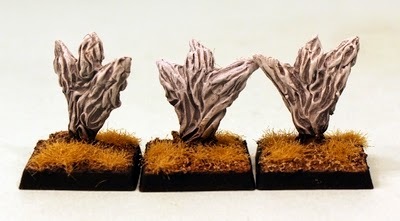 Great for inclusion in any fantasy 15mm setting and HOTT or other army as Sneakers or Lurkers and such. As with all HOT 15mm Fantasy codes you can purchase one pack or you can choose three packs and save 10% off the price automatically on screen. You can also choose a sampler which gives you one of each pose of miniature from this pack; a great way to try or to make skirmish forces with HOT. All miniatures are supplied unpainted and without bases. Go HERE. This new release and every other product on 15mm.co.uk is part of the Salute 2014 promo period offer until April 14th 2014. You can get 15% off your orders with a special code. Applies to orders be delivered or picked up from us on the day (no postage!). Go HERE for the code and more details. FMS 15mm Modern Tents packs released! USEME Series back online with PDF Versions! Space Raptors Spring on the Scene Soon! SHM Prang and Skorath Released!